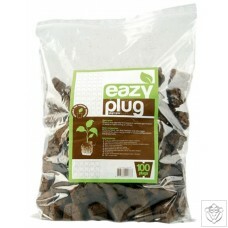 Eazy Plug® Propagation Plug Bags Eazy Plug® products provide a perfect water-air-ratio, which provides an ideal environment around your cutting roots. Thus, they can develop optimally. 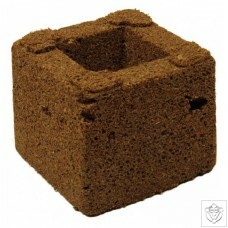 Through this and through the ecological quality of Eazy Plug® products they are the best alternative to conventional substrates such as potting soil or rock wool. Composition Eazy Plug® products are 100% compost-able as they are almost entirely made from organic materials, including Perlite, a mixture of peat, coco fibre, fertiliser and other components. 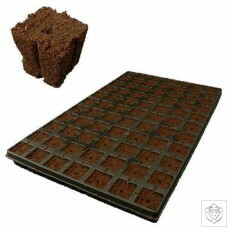 pH and EC Value Eazy Plug® products have an optimal pH and EC value that remains st..
Eazy Plug® Propagation Plug Trays Eazy Plug® products provide a perfect water-air-ratio, which provides an ideal environment around your cutting roots. Thus, they can develop optimally. Through this and through the ecological quality of Eazy Plug® products they are the best alternative to conventional substrates such as potting soil or rock wool. Composition Eazy Plug® products are 100% compost-able as they are almost entirely made from organic materials, including Perlite, a mixture of peat, coco fibre, fertiliser and other components. pH and EC Value Eazy Plug® products have an optimal pH and EC value that remains s..
A predetermined pH with buffering: pH 5.5-6.0 By adding special components that are pH buffered, the Eazy Plug has a predetermined pH value which is retained even after adding water and/or nutrients with different pH values. This makes the pH stable and less prone to user error and easier to manage. A predetermined value by buffering EC: EC 1.0 During production the EC value of the plugs are set and buffered so that the EC value does not have to be built to a specific level. That level remains stable and easier to control. ( 2-3 weeks fertilizer included ) Open structure so that the water / air management is always good:..